Say goodbye to the stress of financing your next vehicle, thanks to the rotating used vehicle specials at Riverside Toyota! You can find a pre-owned Toyota or other popular model for a price that won’t break your budget. Explore our exclusive offers today, and upgrade your Calhoun commute for less! 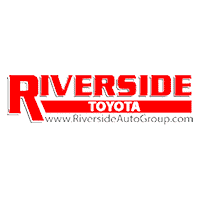 Once you’ve found the used vehicle that’s right for your Cartersville lifestyle, it’s time to contact Riverside Toyota in Rome for a test drive. Our team is ready to help you through the car-buying process and find the used Toyota that’s perfect for your daily Cedartown drive. Save time when you apply for financing in advance, or estimate your monthly payments with our helpful auto finance calculator!